There have been three editorials from nuclear reactor community newspapers that really stand out (two recent & one from two years ago), and that citizens & politicians in Durham Region need to keep in mind. All three reference the need to plan appropriately for nuclear emergencies in Durham, home to not just one, but two gigantic nuclear generating stations. If a sampling of residents is any indication, there would be chaos in Durham Region in the unlikely chance of a serious nuclear incident in Pickering or Darlington. The news comes amidst a multi-agency mock nuclear emergency exercise taking place over three days this week to test preparedness among those responsible for dealing with an emergency. It also comes just a few weeks after a new nuclear emergency kit -- featuring easy-to-read binder pages and a pinpoint LED flashlight -- was distributed to more than 200,000 households (at a cost of $3 each) within a 10-kilometre radius of Durham Region’s nuclear plants. But the results of an Ontario Power Generation focus group obtained by Greenpeace Canada clearly indicate that despite efforts at outreach and community engagement by Durham’s nuclear operator, a frightening number of the region’s residents remain completely unaware of what they should do in a worst-case nuclear scenario. The report concludes there are “very low levels of awareness” among residents living closest to Durham’s two nuclear generating stations. One resident indicated she would try to get to Toronto in a nuclear accident; a mother in Pickering said she would want to retrieve her children from school. Each of those, depending on the circumstance, might be precisely the wrong thing to do, based on protocols laid out in established monitoring and evacuation directives. This study shows rather clearly that even though OPG has lived up to its obligations to regularly provide information related to nuclear incidents, it hasn’t had much success in ensuring that the information it provides is being retained, let alone perused by residents. It is on this basis that OPG must move to develop a mechanism to more effectively measure and manage the success and retention of such important information for residents. Residents, too, have a responsibility to become informed, for their own and their family’s sakes. Nuclear power is here to stay as a source of energy generation in Ontario and OPG has a solid record of safely and professionally operating its reactors in Durham Region. But there are well known and serious risks associated with accidents. The lesson here is that it’s not enough to assemble, package and distribute important information without accompanying oversight and follow up with the recipients. Durham Region, as the entity responsible, is obliged to ensure that the information it provides is meaningful to residents, that they are aware and informed, and that they know their role in an emergency. -- Metroland Media Group Ltd., Durham Region Division … Editor's note: The story was amended May 29 to note that Durham Region is responsible for emergency preparedness. A federal court ruling that orders more environmental study before new nuclear reactors can be built at Darlington must be viewed positively. The ruling is a victory for Greenpeace and other environmental organizations that challenged a separate federal review panel’s earlier recommendation for approval of the new build at Darlington. The May 14 ruling by Justice James Russell orders more study of hazardous substance emissions, the proper handling of nuclear waste and more detailed analysis of how the site’s operators would deal with a severe accident. Referred to by Greenpeace’s Shawn-Patrick Stensil as a “common-sense ruling”, it effectively puts the ball back in play for Ontario Power Generation to determine its next steps. OPG’s Neal Kelly said the company must first fully review Justice Russell’s ruling before deciding how to proceed. It’s not likely that OPG will simply abandon its plans for the new build at Darlington. A huge investment of time, money and human resources have already been spent in preparing the site for the environmental assessment approved by the federal panel. Additional study will cost more, certainly, but will also dig deeper into identifying methods and processes to address the areas flagged by Justice Russell in his ruling. In the aftermath of the Fukushima disaster in Japan, manageable plans for nuclear emissions, waste storage and, especially, the emergency response to a severe accident are vitally important to Durham Region residents. So, though the legal ruling represents a setback for advocates of the new build who have been working hard in recent years to see it move forward, it also represents for the larger community one more hard and close look at ways to mitigate the impact on the natural environment and more detailed response plans should the worst happen. We call on OPG to accept the ruling and work quickly to address the gaps Justice Russell has identified in the existing environmental assessment, move forward in creating detailed plans for emergency response and clear this vitally important step. That universally recognized motto of the Scout movement must also guide nuclear experts as they work towards extending the life of Clarington's Darlington Nuclear Generating Station to 2055. 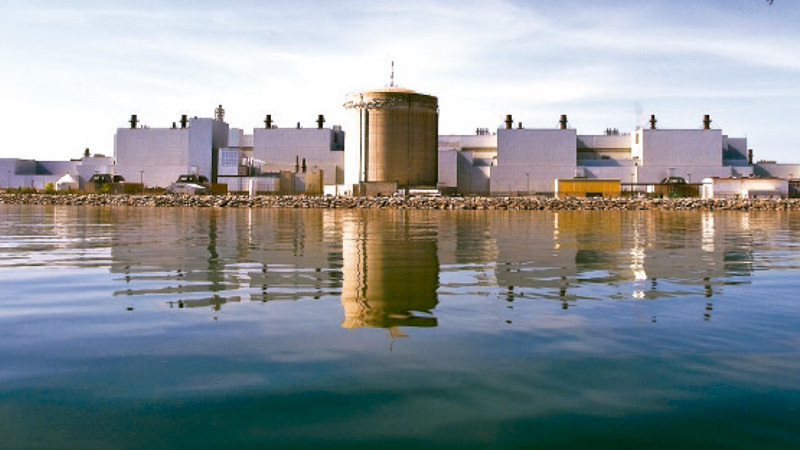 A federal environmental assessment is currently underway as part of the long-term nuclear refurbishment program at Ontario Power Generation's Darlington site and members of the public are encouraged to take part in some upcoming hearings to share their views. As part of the ongoing process, some local groups, led by the Canadian Environmental Law Association, have raised timely concerns about the site's and the community's preparedness should a nuclear emergency occur. Specifically, CELA is calling for a much wider scope of preparation for a large-scale nuclear emergency, unlikely as that may be. Theresa McClenaghan, executive director of CELA, noted recently that most nuclear emergency response plans at Darlington are based on site-contained incidents that wouldn't pose a threat beyond the nuclear facility. And the spectre of Japan's Fukushima nuclear emergency and evacuation following the earthquake and tsunami continues to cast a shadow on nuclear power generation around the world. Though our geology differs and there is a minuscule chance of a similar occurrence in Durham Region, the point of preparedness is to have a response plan in place for multiple emergency scenarios. In that context, CELA's call for a detailed emergency plan for potential incidents such as a large radiation release that would require evacuation in a 20-kilometre radius makes sense. It doesn't mean that there is an expectation that such an incident would occur, but would provide a more robust and effective emergency plan for OPG officials, municipal leaders and everyday citizens to respond. For their part, OPG officials say the current focus is on "credible" disasters, those that would be expected here at home. That is as it should be, at a minimum. But there is no harm in examining and preparing for less "credible" emergency incidents. Any resistance to such a notion is akin to automotive manufacturers in the past resisting the installation of seat belts in automobiles lest they be viewed by consumers as unsafe. The human and economic cost of an uncontained nuclear incident would be exponentially greater if there are no processes or plans in place for the unlikely, for the unexpected, for the incredible emergency. A plan that explores and prepares for the widest possible spectrum of potential emergencies must be assembled.